Norwegian Øystein Løseth, 52, is the CEO of Swedish energy company Vattenfall. A Trained civil engineer, Loseth has over 25 years of industry experience behind him and has held executive positions at a number of European companies including Norwegian Statoil, Statkraft, Naturkraft and Nuon. Loseth is the first non-Swedish CEO to be appointed at the Swedish, state-owned company that celebrated its centenary in 2009. The softly spoken Loseth, with his stereotypically Scandinavian looks, succeeded Lars G. Josefsson’s, who retired in 2010 at the age of 60. Before taking on the role as Vattenfall’s CEO, Løseth first served as the company’s Senior Executive Vice President, and also acted as Deputy CEO for the group for some time, meaning that he’s had the opportunity to mature into his new position naturally. Still, it would take a man with a heart of steel not to feel a pang of anxiety taking over as CEO indefinitely at a company that faces the sour aftermath of a spending spree that has seen it develop into Europe’s fifth largest utility company– a 49 percent share of Dutch energy company Nuon being one of its major investments during 2009. A man with passionate views and a seemingly genuine interest in changing the market for the better, Vattenfall seem to have found the right man for the job, and his gentle demeanor helps to take the edge off the big bad wolf image that surrounds the energy sector. With regards to Oystein Loseth’s most immediate challenges within the very company he heads, his main focus is to get Vattenfall back on its feet. Under Loseth’s leadership, the company is tackling a handful of issues to recover from its earlier investments. Firstly, Loseth and his team are set to improve operational efficiency and availability and decrease debt levels. To help matters, Vattenfall sold its 24.9 percent minority stake in German Stadtwerke Kassel to Munich-based Thüga AG in December 210. Further, a cost reduction program will be kicked off in 2011, aiming at reducing the operational costs by €648m – a target that will be met by cost reductions in purchasing and processing improvements in operations and maintenance. An inevitable result of the cuts will be a reduction of headcount, and the process will come into play via natural attrition. In total, the overall investment program from 2011 to 2015 will be limited to €17.8m. To compare, the last five year investment program that ended in 2010 amounted to €21.7m. On a brighter note, Vattenfall reported on October 28 that its net profits almost tripled year-on-year in the third quarter of 2010, although sales decreased by nearly a fifth. 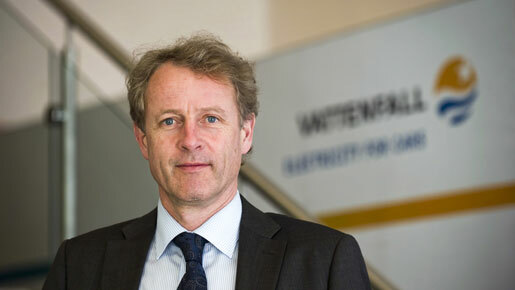 Since his tenure began last spring, Oystein Loseth has had his hands full implementing a new strategic direction put in place to up profit and value creation, while at the same time reduce debt and CO2 exposure as well as taking a leading role in developing environmentally sustainable energy production (Vattenfall’s CO2-exposure is currently above the industry average). Since Loseth considers the Netherlands and the Scandinavian countries to be leading the way in creating a truly pan-European energy market, Vattenfall’s geographic focus is Sweden, Germany and the Netherlands.